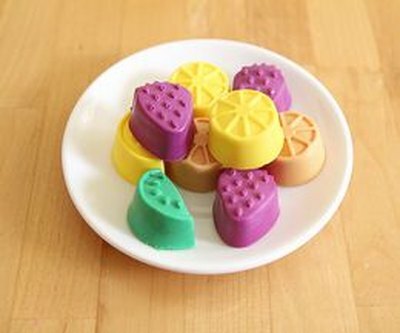 These soaps are simple to make and the kids will have a great time using them to clean their dolls, trucks, and even themselves. Plus, you don't have to stick strictly to soap molds. 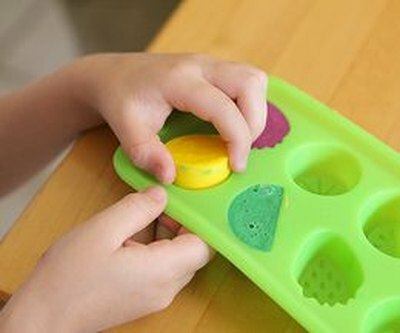 You can also get creative with the many silicone candy molds available. 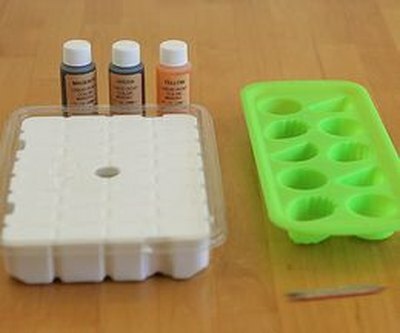 The main supplies you'll need include a soap making block and a flexible mold. You can find lots of different soap blocks at your local craft store; we chose shea butter soap this time around. Please see the last slide for an itemized list of tools and materials. 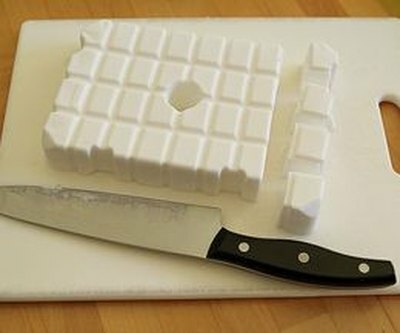 Break up the soap block into smaller chunks using a knife. Place the pieces into a microwave-safe dish and microwave for 30 seconds. If the soap isn't completely melted, continue to microwave 10 seconds at a time until it is. 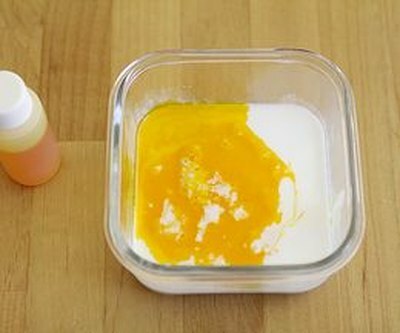 Once the soap is melted, you can add colors and scents to the liquid. Drop in 5 or 6 drops at a time until the color and scent you're looking for is achieved. Stir to mix completely. Pour the liquid into the mold and wait 40 minutes or so for it to harden. Remember that you don't have to stick strictly to soap molds, any flexible plastic or silicon mold will do. You can find interesting molds in the candy-making aisle of your local craft store. Pop the soap out of the flexible mold and display on a dish near the sink or in a bowl for bath time. Work fast when it's time to mix in the colors and scents as the soap will begin to harden quickly.